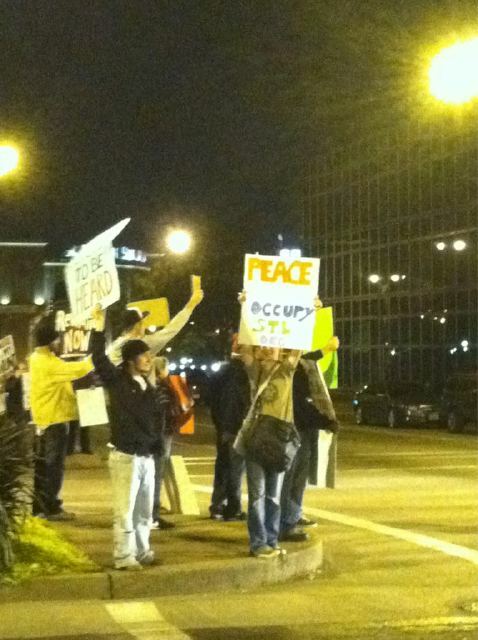 The word on the street tonight was that city police gave the Occupy St. Louis protesters until 10 PM to leave Keiner Plaza or face eviction. Hearing this, I went down to the park before 10 o’clock to hopefully get a glimpse of the cops rounding up the homeless protesters and tossing them into the paddy-wagon. Unfortunately, the cops never showed up so I took a few pictures instead. 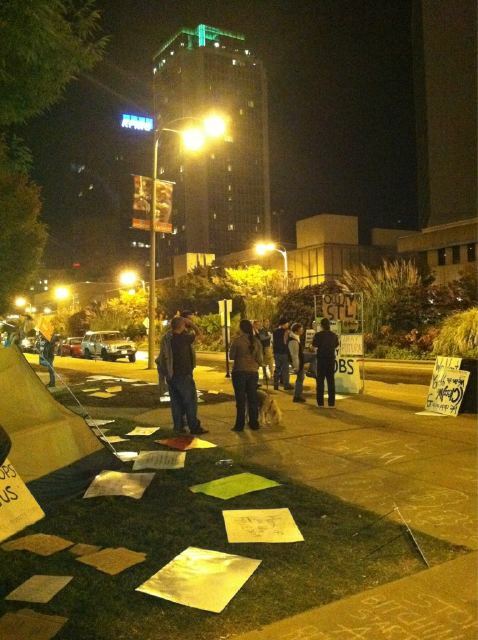 The protesters made their astroturf signs in advance and laid them out for their supporters. The 99% ‘ers want more socialism than what Obama gave them. This young socialist was totally confused. 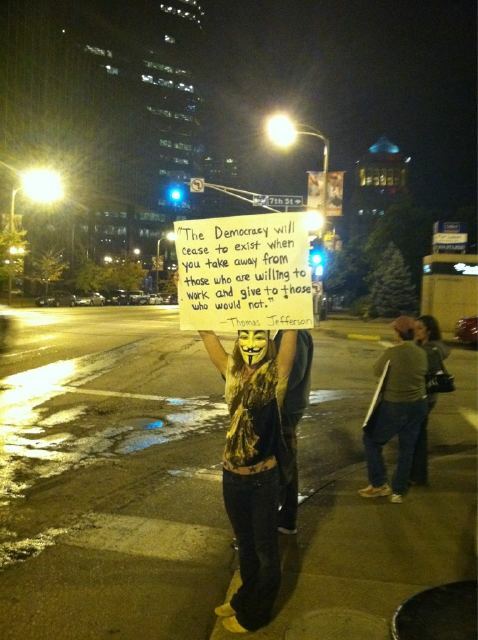 Her sign looked like it could have come from a tea party. That’s weird? She told me she wanted a revolution. Nice mask.